Bye bye SUMMER and hello FALL! 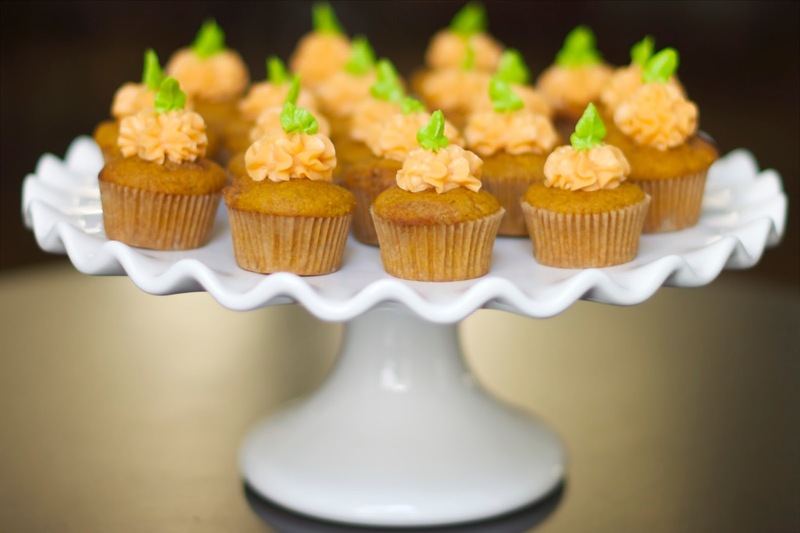 I have the perfect SEASONAL treat for you: spiced pumpkin cupcakes with salted caramel buttercream frosting. 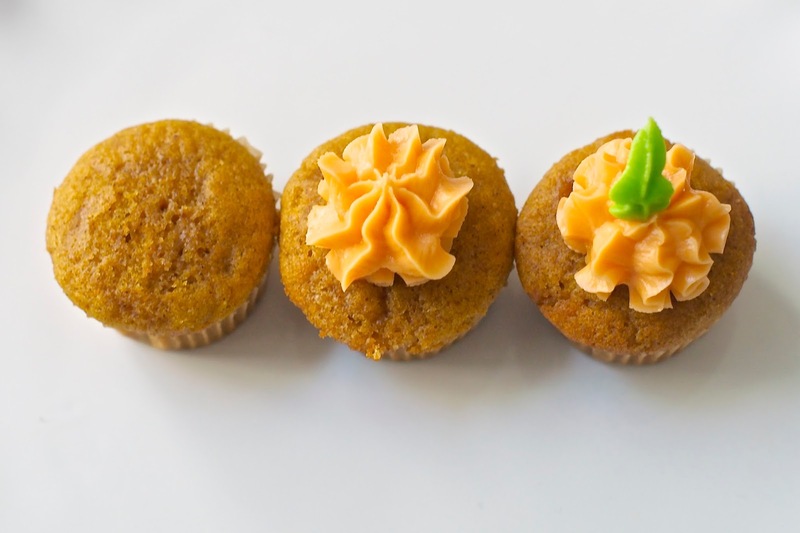 These pumpkin cupcakes are deliciously spiced with cinnamon, ginger, nutmeg and allspice. The salted caramel frosting is sweet, creamy, buttery, and salty. We promise these cupcakes won’t turn you into a pumpkin at midnight! My SECRET ingredient in my baked goods is coarse sea salt, which I used in both the cupcake and the frosting. The combination of sweet and salty is DIVINE! These cupcakes are PERFECT addition to any Fall or Holiday dessert menu. I served these scrumptious treats on both Halloween and Thanksgiving. One piece of advice: piping small details with the salted caramel buttercream frosting can be challenging. The coarse sea salt will get stuck inside small decorating tips. I suggest making a small portion of Toba Garrett’s buttercream for those finer details. Cook without stirring until mixture turns a deep amber color. Previous Post A MARVELous BIRTHDAY! Next Post A Holy Communion!